If you suspect of malware on your website or you already have any evidence such as the red screen of ‘suspicious website’, the first step is to scan your site for infected files. We always recommend you to analyze the code of your website. An analysis that searches for malware in all your files, even in hidden or private access ones. However, the domain scanner can give you a lot of information to start the malware cleanup process. 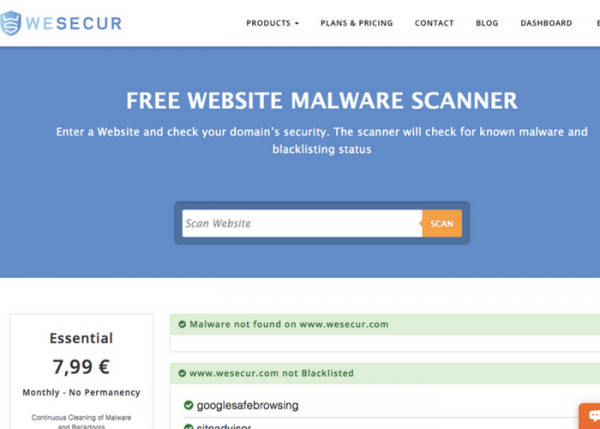 Do you want to know how to use our website domain scanner? If we have not found infected files </ strong> but you suspect that there is something wrong with your website, we recommend you a full file scanner of any of our cleaning plans and immediate help.